International Roaming Service allows users to use their Zong SIM Card while traveling outside Pakistan. With Zong, International roaming is no more just a luxury. Now you can enjoy the lowest & most affordable rates worldwide. Just visit your nearest Customer Service Center, Franchise or Call Helpline to activate International Roaming Service on your Zong SIM Card and stay connected with your Friends & Family in Pakistan while traveling aboard. To avail IR services, subscriber has to activate IR services from nearest Customer Service Center or they can contact their respective relationship manager for IR activation. A deposit of Rs 15,000 to CMPak is required to avail IR services on any Postpaid number. Helpline numbers 310 and 311 will not be accessible on roaming. Customer has to ensure activation of IR services before leaving Pakistan. In case of emergency while roaming, customer can call on (0092-51-111-222-111) from any other number. Tariffs are calculated using prevailing exchange rates and are subject to change without prior notice. While on International Roaming, charges for calls made to Satellite and Premium numbers are not listed here and are generally more expensive than the respective International Call rates. Incoming SMS on roaming is free of cost. Outgoing call charges against Rest of the world are not listed here and are generally more expensive than the respective International call rates. To avail this service subscriber has to replace their sim card from nearest Customer Service Center or you can contact to you respective relationship manager for sim card availability. Zong offers 3G services in Pakistan on Tour De World sim cards available with us right now. Postpaid customers can only use Tour De World services and for this they are required to submit a security deposit of Rs 15,000 for the activation of International Roaming Service on Tour Da World sim cards. Helpline number 310 and 311 will not be accessible on Roaming so before leaving pakistan actiave your international serivices. To activate roaming services on mobile number please visit nearest Customer Service Center or any franchise outlet for deposit and activation request process initiation and submit your security deposit. Subscribers have access to Dial 310 before leaving pakistan from zong sim card, while roaming they can call us on (0092-51-111-222-111) from other number. Corporate subscribers subscriber can get help any from their Relationship manager, for international roaming activation on phone they may call on 311. while roaming they can call us on (0092-51-111-222-111) from other number. 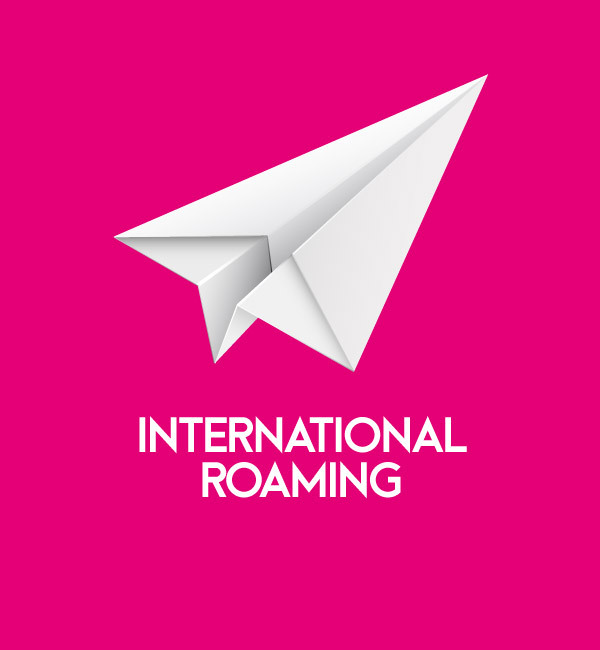 While on International Roaming, charges for calls made to satellite and premium rate numbers are not listed here and are generally more expensive than the respective International call rates. Prepaid Customer needs to activate International Roaming services before leaving Pakistan. Subscribers can visit Customer Service Center or Franchise to activate International Roaming services. Before leaving Pakistan, subscribers can also request International Roaming activation by dialing 310. "310 will not work while on Roaming". While Roaming subscribers can contact helpline by dialing 0092-51-111-222-111 from any number. Calls are charged in minute or in per second basis dependent on Roaming Country / Region Tariff plan. A deposit of Rs.1500 (optional but not compulsory) is required to avail IR services on any Prepaid number. Fax facility will not work while on roaming.